Mom is a wonderful person to all. No doubt about it. And “This Mom ’s Life” series is dedicated to my mom for her unconditional love towards me. It helped me to meet happily many lovely hearts. Today we have Janani Viswanathan of Twins & Me with us to share her experiences in ” This Mom ‘s Life “ series. She is a happy mother of twin little boys who’s now four years old. She’s an Electrical and Electronics Engineer by qualification and worked as a Software Professional with Cognizant Technology Solutions for 8 mind-blowing years. She’s a passionate blogger yet the simple person to connect with friends. She has been featured in “The Times Of Amma” blog. I feel a warmth of year-long friendship with her though we are friends only for some months. ” I am much delighted to be a part of your “This Mom’s Life” series. Your queries kindled my thoughts and brought back many pleasant memories and gave way for a lot of self-learning. Seriously I have never sat back and explored what kind of mother I am? You gave an ultimate thought-provoking session. In fact, I was on a writing spree today. My heart poured out and couldn’t cut it short anywhere”. ” Before marriage, my only passion was my work, work and work. I had a love affair with Java and my world was so tiny, trapped in a small cubicle, fully engulfed in coding, projects and deadlines every single day. After marrying the love of my life, my world widened a little. We were two crazy mates not so perfect in everything with divergent likes and character. I was a bookworm, bad chef, lazy and lethargic wife and super energetic person at work. He was an early riser, too lazy to read books, sports lover, perfectionist, avid traveler and a compassionate partner. We were different in every aspect and in fact, that was our strength and the secret of our cheerful life. And then came the most precious part, showering joy in the form of our twin boys. I would say, Life had a big twist and turn after that. The workaholic mamma happily left her much-loved software career, as there were two significant dudes waiting for her care and affection all through the day. From then on I was totally engrossed in Parenting and nurturing my twin joys that I never ever thought about getting back to work. My little ones were keeping me perfectly occupied right from the day they were born, with my mind and heart always racing around them. I became a lesser Java person and more of a student learning and relishing the different aspects of parenting from my cutie pies all day. After years, I finally found some ME time and identified my passion for writing. Here again, I couldn’t resist my attraction to anything else other than my kiddos, parenting, motherhood or family. Now I am exploring the new dimension of my life as a blogger at my parenting blog, Twins and Me. Twins & Me is my little baby which went live on June 2016. It focuses on providing constructive support to twin parents, bringing out the beauty of motherhood and deciphering the art of parenting. Twins & Me’s all time aspiration will be to elucidate refreshing ideas to make parenthood a more adorable and hassle-free journey despite the indefinite social challenges which prevail today. Till now Twins & Me struggles to gain some attention from their mommy but desperately fails most of the time, as its twin brothers’ carry over all her heed and love. We are close to reaching our first anniversary and mommy has promised to focus more on writing from the second year, as twin bros will be heading into full-time schooling mode”. We try making bedtime a routine, but the first rule breaker is mommy. Writing articles for my new love, my blog, Twins and Me. My Evenings. It’s my time for Kids with no distractions. I make sure to set all other work aside to play and engage with them. In fact, they are my Gurus, who are bringing a lot of transformation in me. So this is a quality time which I never want to miss. Not so attentive, but an adoring Wife. Not an ideal, but a better Mom trying to get better day by day. Once their dad is back from work, we have little chit chats every day. He will be staggered, as all three of us will be blabbering the hot topics of the day to him at once. Being Appreciative, Kind and Optimistic. Words may fail in expressing my gratitude to all moms who appeared in this series. Thanks again all my friends. Happy to feature other mommy friends also in “This Mom ’s Life” series …… Interested can mail me at vivekvasantha@gmail.com. 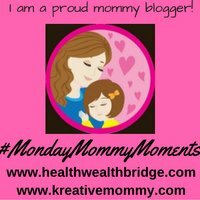 Linking this post to #MondayMusings, #HappySunday, & #MMM. Wonderful reading about Twins and me blogger mommy Janani .It must have been a challenge bringing up twins .Wonderful inspiration blogging wise and mommywise to. You are right, Amrita !!! I hopped on to Twins and me blog many times but never knew the face behind the lovely Blog. Its great to know such a bubbly personality. Thanks Vasantha. Raising kids is not so simple. Hats off to this mom for wonderfully parenting twins and still finding time for her passion. Multi-tasking comes naturally to us. Raising twins is not at all simple. Loved reading about Janani. Thanks Nayantara for stopping by !!! Lovely to meet you here on Vasantha’s blog. Quite enjoyed reading your responses. Thank you so much Sid!!! Amazing Post!! When I reading this I thought about my Mom & my childhood memories.